"Reality is what you make of it!" This site is in the process of being totally reorganized. Making it easy to use on phones and other mobile devices is one of the top priorities. There will also be much more content coming in the very near future. I was interviewed and featured in Maleficent Beauty Magazine. That's one of my images on their July 2015 cover. 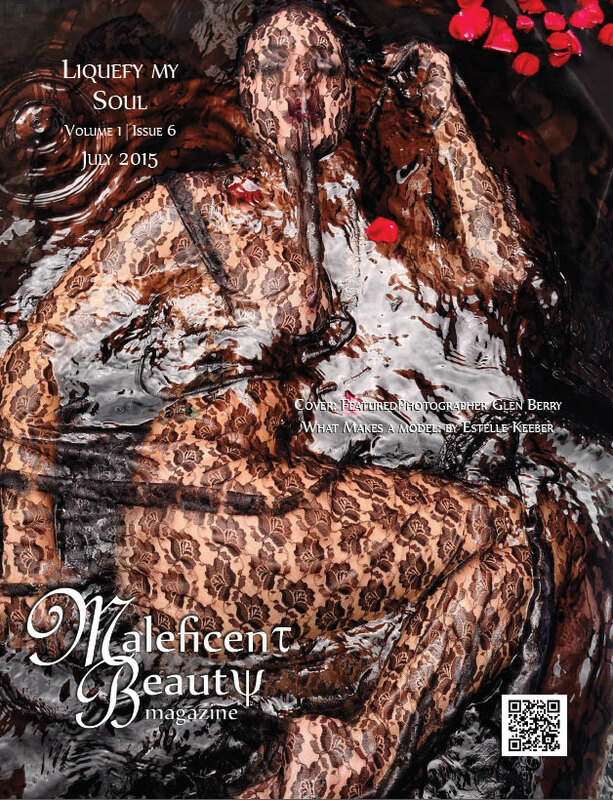 It features model Amber Smith, and is part of the magazine's "Liquefy My Soul" theme for July. Click the image above for more information about their July issue, and to purchase your own copy. New! — Purchase Fine-Art Prints Directly from GlenVision! My name is Glen Berry. This site is dedicated to my digital photography and art. A wide variety of subjects and styles are here. My motto is: If it's interesting, and it can be photographed, then I'm interested in photographing it!